Monthly Pop Box, which combines a sampling of all of their subscription box goodies in one. Monthly DIY Kit, which provides supplies and inspiration for various creative projects. Handmade Beauty Box, which features 3 different handmade body care items from different makers and featured artists each month. Monthly Print Box, which thoughtfully curates 2 high-quality art prints and a complimentary goodie each month. Monthly T-Shirt Box, which sends a monthly surprise of graphic t-shirts, all designed by artists and indie design companies in the U.S.
Earring of the Month Box, which includes two pairs of handmade earrings, ranging anywhere from dangly earrings to bold studs. Handmade Jewelry Box, which sends 2-3 new pieces of handmade jewelry each month. This is a review of the $19.00 a month, Handmade Beauty Box. COUPON: Use code MYSUBADDICTION to save 10% off! The Products: 3 different handmade body care items from different makers and featured artists each month. Each box comes with a card listing the box’s contents and the total retail value with a handwritten greeting on the back. This month’s total value is estimated to be $28.00. I am so thankful I went onto Sam Wish’s site to read more about this deodorant. It smells GREAT—like straight up lavender essential oils!—but when I first used it I noticed that the beautiful fragrance faded pretty soon after applying it. On the site, they explain that when switching from chemical-ridden antiperspirants to more natural deodorant, your body may undergo a “detoxing period” in which natural body odors are a bit more prevalent. It’s a transition, but it soon fades, apparently! I’m excited to keep using this and see how my body’s reaction to it changes. I’ve never given natural deodorants a chance, so I’m thankful for Pop Shop America for sending it my way. The packaging is also just adorable. There was no info about where this handcrafted soap came from, so its value is estimated based off of similar products online. I am obsessed. I’ve combined lavender and peppermint essential oils in my diffuser, so I am so excited to be able to have it in soap form! The lavender scent gets a refreshing boost from the prominent peppermint, and the soap itself has a nice light lather to it. And, the best part of natural soaps: no grimy, chemical residue on the skin after a shower. Is this not the most beautiful bath product you’ve ever seen? I sure haven’t used anything remotely as lovely before—or as relaxing. Its an Epsom salt-based bath soak with organic lavender flowers, chamomile, rose petals, and frankincense, ho wood, spruce, and blue tansy essential oils. I swear, I could have fallen asleep in the tub. It smells so incredible, and I was surprised at how affordable it is on Sam Wish’s site! The bottle was filled to the top (enough so that when I opened it for a first smell the salt spilled all over my dresser, ha!) But other than that, I was excited about this product. This was pretty standard lip balm. Nothing too wow-worthy about it, but the grapefruit was a great accent to the lavender essential oils in its ingredients. You can really taste and smell the elevated citrus notes. It’s a little sticky, and I like my lip products a bit more smooth and glossy, but I guess different textures should be expected when using high-quality natural ingredients. 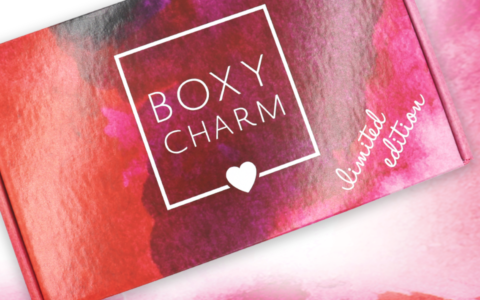 Verdict: I deeply love the aim of Pop Shop America’s Handmade Beauty Box. It opened me up to natural products I likely never would have found myself, as I regrettably do most of my body care shopping in supermarket aisles! (I know, I know—not great.) The deodorant and natural soap were my favorite products. I’m not a huge bath person, but I know the floral bath soak will make me want to indulge more and treat myself to tub time! When it comes to value, these items added it up to $26.00, which is a little under $5.00 more than the $21.47 cost of the box ($19.00 a month plus $2.47 shipping), which was a bit of a letdown. Ultimately, larger-sized products or an additional handmade product would have made this box truly worth its price. If you value essential oils and natural products, however, this could be a great route to discovering new gems. Can you still get this box if you sign up today? You can buy a number of the items I received on their own, but you’ll receive a random assortment of Pop Shop America goodies when you order the Handmade Beauty Box. Each box ships within two days of purchase! Coupon – Use code MYSUBADDICTION to save 10% off! Check out all of our Pop Shop America reviews and the Women’s Subscription Box Directory for more beauty boxes! What was your favorite item in this month’s Pop Shop America box? Just curious… why do you think shopping for your body care necessities at the super market isn’t a good thing? Supermarkets have a great variety of products to choose from nowadays like budget friendly, conventional, & those that fall into the clean/green beauty realm. Probably for supporting small business vs chain stores is my guess?